I have been working on a round robin swap #2. If it doesn't get done quickly, I can always blame MaryJane. Here she is helping me, or at least trying to. 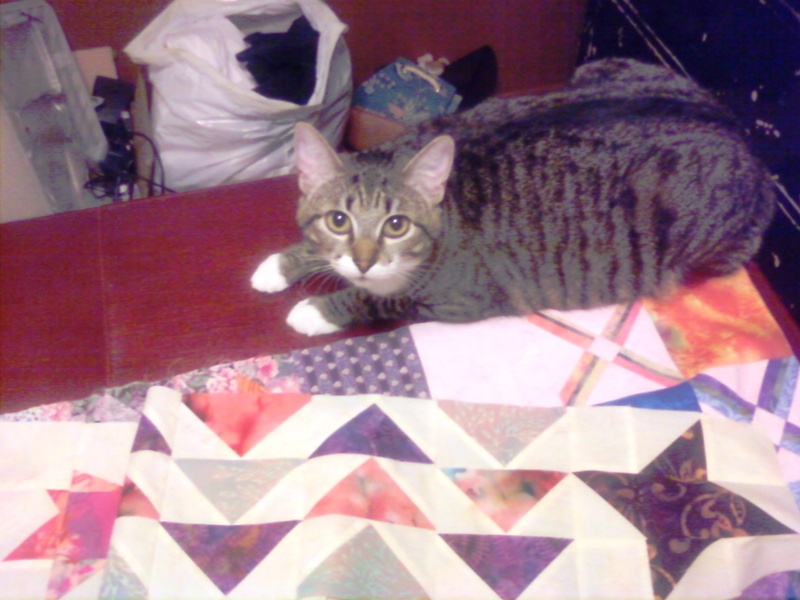 Here she is telling me to take a break. 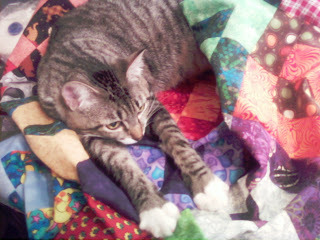 I am 1/2 done sewing the blocks on a different quilt and she jumped up and laid on them, streaching out her front legs. 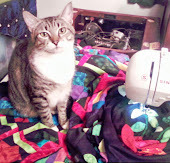 What a helper you have there. I add picture 1 now for picture 2. WHOOOO HOOOO!